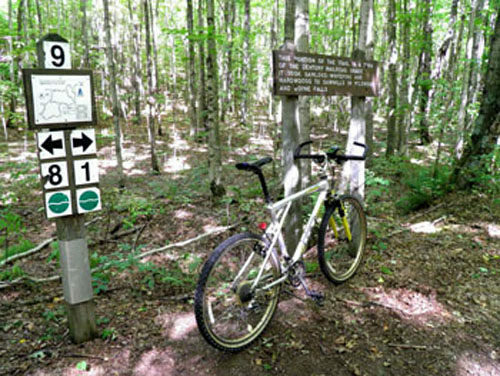 Located in the upland forests along the hilly border of Cheboygan and Emmet Counties, Wildwood Hills Pathway is an 11-mile trail system of three loops that is true to its name. The pathway winds through a heavily forested tract of rolling hills and is composed primarily of abandoned two-tracks and even old railroad beds, resulting in wide paths with easy curves and gentle ascents. 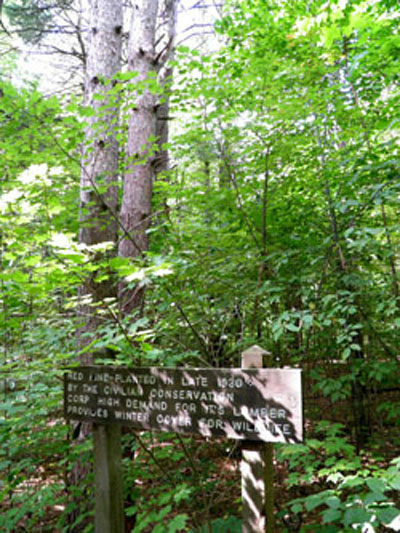 The area was the site of Wildwood, a town that dates back to 1880s when Old State Road was constructed between Petoskey and Onaway so loggers could access the timber in the area. Originally called Mentor Corners, Wildwood received a post office in 1882 and by the turn-of-century was a good size town with a school, stores and a lumber mill. When the trees were depleted, Wildwood became a ghost town and today little remains of it other than a name on topographical maps. Old State Road eventually became Mitchell, Wildwood and White Roads. Wildwood Hills Pathway was developed in the 1970s for Nordic skiers but the mountain biking boom of the 1980s turned the trail into a popular destination for off-road cyclists. 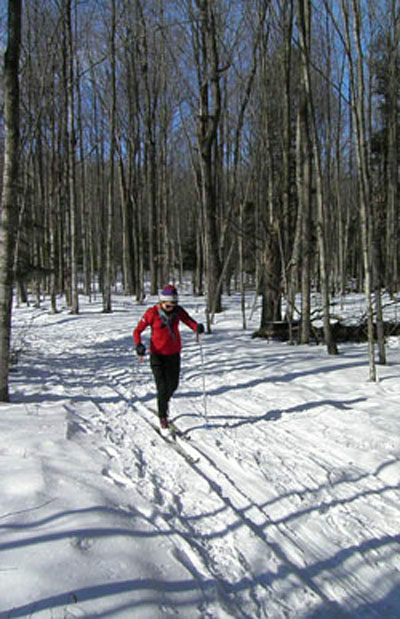 Hikers and snowshoers are also welcome to enjoy the trails but its primary users are cross-country skiers and mountain bikers. In the winter Wildwood Hills is groomed for classic skiing in a clockwise direction and all of its segments are rated either Easy or Moderate in difficulty. There are a few steep hills but bypasses allow you to ski – or pedal – around them. The pathway is bisected by Reams Road and crisscrossed with other dirt roads or forest two-tracks. Wildwood Hills is well posted with maps at most junctions and easy to follow. At the south end of the trail is a connection to the Lost Tamarack Pathway that is no longer posted as such. Mountain bikers will also find Wildwood an easy to moderate ride as less than 2 miles of the pathway is single track. 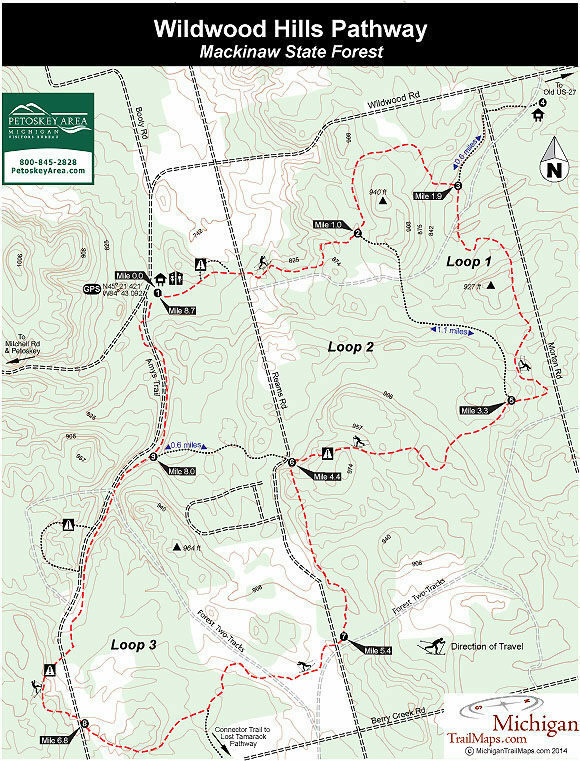 Two trailheads serve the pathway and from the West Lot, the most popular staging area, Loop 1 and 2 is a 5.7-mile outing, Loop 2 is 4.5 miles, Loop 3 is 7.5 miles and the outside perimeter of the system is 8.7 miles. From the East Lot Loop 1 is a 4.6-mile outing, Loop 2 is 6.9 miles and Loop 3 is 9.9 miles. What is described below is the outside perimeter from the West Lot. Wildwood Hills lacks the panoramic views so many other trails feature in this rugged corner of the Lower Peninsula. But the hardwoods and pines make for a pleasant ride, especially in early October when the fall colors are peaking. Its inland location and heavily forested hills also allows snow to persist here longer and later in the winter when warm temperatures melts it elsewhere. From the parking lot, the pathway heads into a red pine plantation as a level trail but within a third of a mile reaches its first hill and a bypass around it. Just beyond it you break out at Reams Road and then immediately begin climbing, gaining more than 100 feet before the trail tops off. A gentle downhill run follows to post No. 2, reached at Mile 1. Head north (left) and after a short climb, the trail leads to a long, gentle downhill segment to post No. 3, the first open area you pass through at Mile 1.9. The next one south to Post 5 is a series of long, gentle grades that make for great cruising if you’re on a mountain bike and fun skiing if it’s in the middle of winter. At Mile 2.4 you enter a red pine plantation that was planted by the Civilian Conservation Corps in the 1930s and today some of the trees are impressively tall. Post No. 5 is reached at Mile 3.3 and you continue straight to reach post No. 6. The trail continues to wind through a beech-maple forest that is beautiful in the fall and halfway to the next junction makes a long ascent to 940 feet. After topping off, you get to enjoy an equally long downhill run to post No. 6, reached at Mile 4.4 and located along Reams Road. The mile-long section to post No. 7 begins with a short be steep climb, followed by a long descent and then a level stretch along an old railroad bed left over from the days of logging. The post is also located right along Reams Road, which reached at Mile 5.4 and is crossed to continue onto post No. 8. On the west side of Reams Road the pathway follows an old two-track and then crosses one. At Mile 6.2 the trail swings sharply to the west (right) although the inclination is to continue straight. The trail to south is the unmarked connector to the Lost Tamarack Pathway and in less than a quarter mile reaches Berry Creek Road, a sandy dirt road. The perimeter loop heads west, makes a long climb and then breaks out into the largest meadow of the day. Post No. 8 is reached at Mile 6.8 at Amys Trail, that is crossed to continue. Follow the dirt if you want to bypass the next hill or avoid the only stretch of single track along the route. At Mile 7.2 the pathway crosses Amys Trail again and then arrives at another bypass. Head west (left) to enjoy another climb and downhill run. Continue straight to play it safe. You re-enter the woods and continue on another former railroad bed for final leg of the day. The pathway here is level and easy and post No. 9 is quickly reached at Mile 8. Amys Trail stays in view as you continue north to the West Lot Trailhead, reached at Mile 8.7. At the West and East Lot Trailheads there is a parking area, a vault toilet and a display map. A state park Recreation Passport is required. There is also a donation canister at each trailhead to help pay for the upkeep and grooming of the pathway. Please give. From I-75, depart at exit 310 (Indian River) and head west on M-68 and then south on Old US-27 for 2.2 miles. Turn west on to Wildwood Road to reach the East Lot Trailhead in 2.6 miles and the West Lot in 4.7 miles. From Petoskey, take Mitchell Road (CR-58) east 9.5 miles to Wildwood Road. Turn left on Wildwood Road to reach the West Lot Trailhead in 3.8 miles. The East Lot Trailhead is another 2 miles. 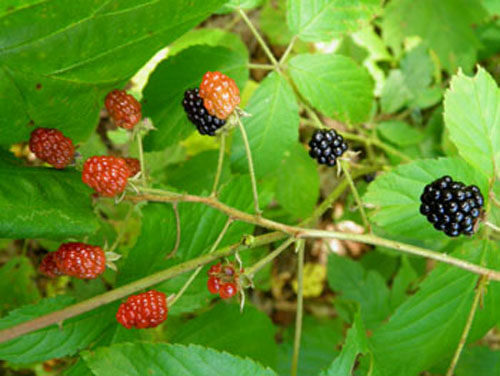 Contact the Gaylord DNR Regional Office (989-732-3541) or the Petoskey Area Visitors Bureau (231-348-2755, 800-845-2828; www.petoskeyarea.com).